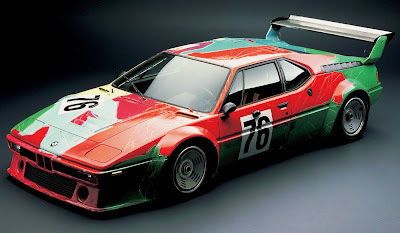 Here’s something with a wow-factor to add to that lineup of 1:18 scale diecast cars. 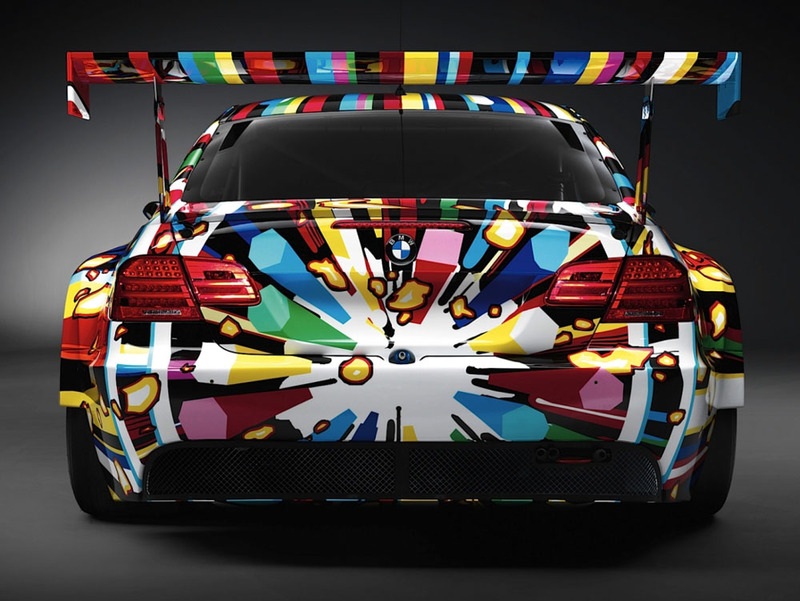 It’s the latest in a long line of BMW ‘Art Cars’ - art in motion, with designs and paint applied by a host of top-name artists over the years. Copywriter’s hyperbole aside, it’s an interesting car that’s being made available direct from BMW as a 1:18 scale Limited Edition. The metal miniature is fully detailed, with Koons’ contrasting silver interior, plus a decent engine, opening doors and other parts, and refinements that include air ducts, seatbelts and much more. Protection for the Jeff Koons design comes in the form of a special long-lasting clear varnish. 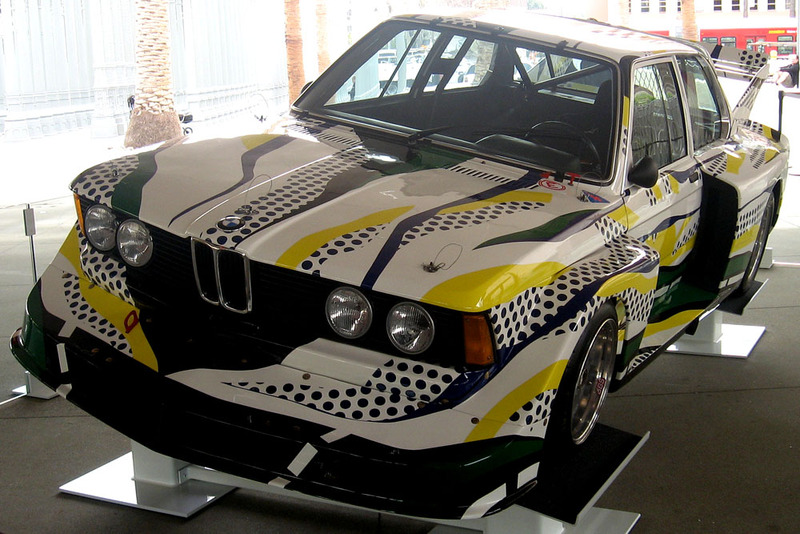 The car comes in a limited edition of 5000, and each one comes in its own display case. 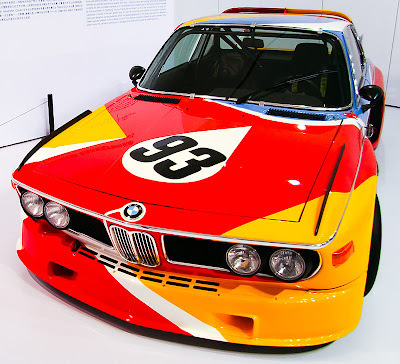 Another US artist, Alexander Calder, painted the first BMW Art Car (above), way back in 1975. He was followed by well-known artists such as Roy Lichtenstein, Andy Warhol, David Hockney and many others. The latest Jeff Koons Art Car adds the seventeenth vehicle to the ever-expanding collection. Lichtenstein's Art Car above, Warhol vehicle below. 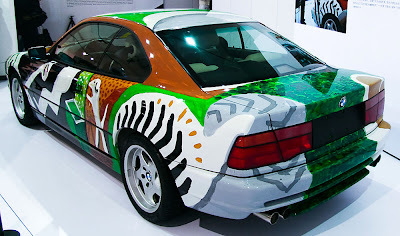 Art Car by David Hockney. 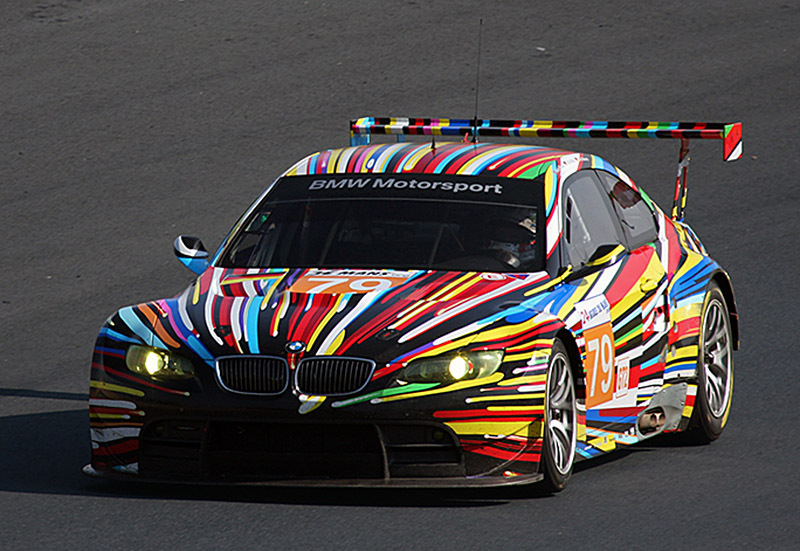 The 1:18 scale Jeff Koons BMW M3 GT2 Art Car is now available from selected BMW dealerships and direct from BMW. 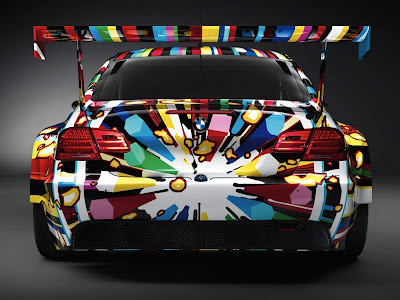 However, as of our search today, there only seem to be two Art Cars on the BMW website, neither of which is the Jeff Koons edition, so you might need to lob an email to BMW or enquire at your local Beemer dealership. Looks a ‘different’ model for the display shelf, with collectibility thrown in, so if you want one, now’s the time. 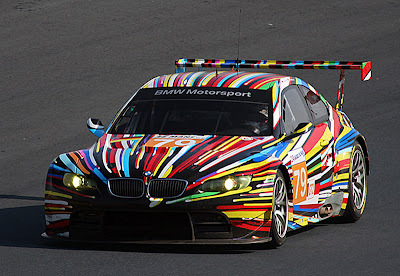 Visit BMW here. BMW models by the gazillion here. STEALTH JET OR JAMES BOND AUTOGYRO? YOUR CHOICE!